I am so excited to be able to tell you that my new book Glam Italia! 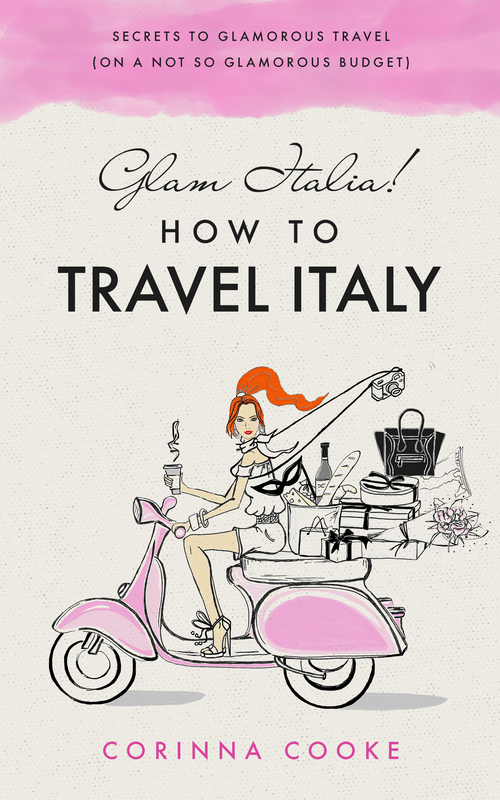 How To Travel Italy is now available on Amazon.com! Writing this book has been a labor of absolute love, and now I get to share it with you! Everywhere I go people tell me they would love to go to Italy but don’t know where to start with planning a trip. Where to go, how long to stay in each place, where to stay, how to get around. They frequently tell me they don’t want to be on a big bus tour or want more time than 5 hours in a city while on a cruise. Others will tell me they are booked on a cruise but don’t know how best to spend their time in a given city when their time is so brief. Others tell me they would love to go to Italy but could never afford it. They are blown away when I show them how they can do it for less than they spend on a vacation here in the USA. I travel to Italy several times per year, so it made sense to write a book explaining how to put a fabulous trip together, and how to do it on a budget. What Makes It Different From Other Travel Books? Whenever I buy travel guide books they tell me about things to do in a given town or city, but they don’t tell me how to put a trip together. They all speak in a very corporate voice that is completely impersonal, and they don’t really care if you love a place or not. I thought about all the things I would want to know if I was traveling to a country I hadn’t been to before, all the questions I would be asking, and tried to write a book that answers these questions. In Glam Italia! How To Travel Italy it is me speaking to you. I really do care that you have an amazing time while you are in Italy. I want to help you to plan and then have the absolute trip of a lifetime. 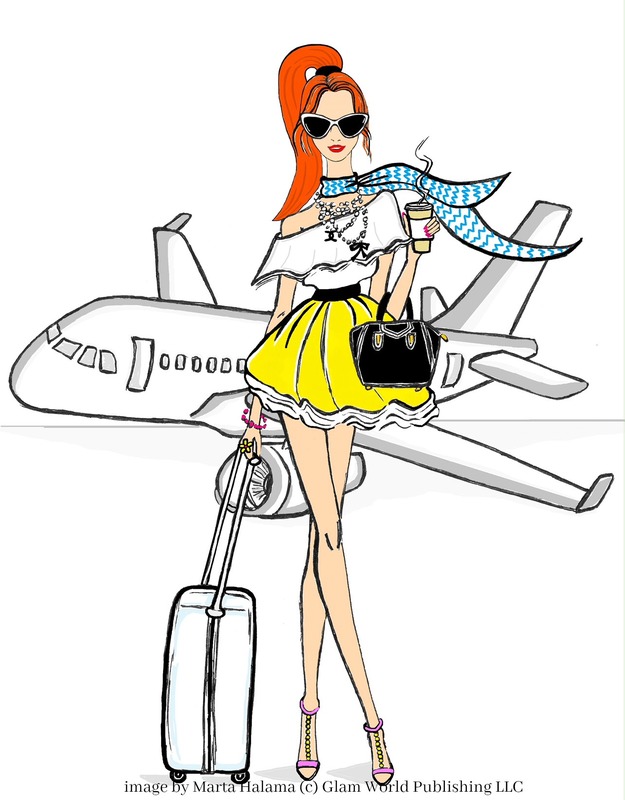 I want to take away all the things you might find stressful and set you up to have a vacation the is both fun and fabulous. Most of all I want you to come away from it in love with Italy, like I am! Glam Italia! How To Travel Italy is broken up into three sections. Section two deals with everything you need to know about planning your flights, getting the killer deals, getting upgraded (my specialty!). I go into depth on things you may not otherwise have thought about, from what to wear on a long-haul flight, to what you must have in your carry-on bag (you might be surprised), to avoiding, minimizing, or if the worst happens dealing with jetlag. You will not only save a ton of money with this section, but also arrive in Italy feeling fresh and fabulous and ready to take on the world. The third section is help for you on the ground. You will learn how to choose a restaurant, which foods and wines to order by region. Although Chianti is fabulous you’re not going to order it in Venice and you wouldn’t order it in Positano. I have a cheat sheet guide in the book for quick reference on which wines you order where. The same with foods, Italian cuisine is entirely regional, so there is a chapter telling you specialty foods to order everywhere you go. There is also help for you when things go wrong, what to do if you get sick, translations for common ailments that you can either day or point to when you are getting help. I have a step by step guide to using the train system, which can be quite a handful if you don’t know what to do. A photographer I work with told me about trying to get from Verona to Florence by train, and how incredibly stressful it was for her because she didn’t know what anything meant, or how the system worked, and she couldn’t even see the word Florence anywhere! It’s Firenze over there. There are so many things that can make it really stressful, but if you have my little step by step guide with you it’s a breeze. 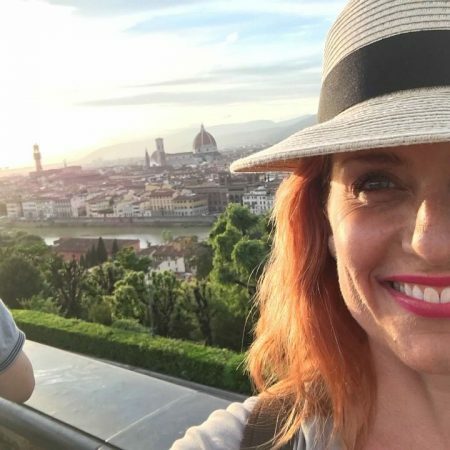 Section three also teaches you how to order coffee in Italy, things you need to know about beaches and shopping and getting your sales tax back – there is so much in there, it is endlessly helpful even to people who have traveled to Italy before! I really want people to see that a trip to Italy can be incredibly affordable and you don’t have to be wealthy do it. When my son was 12 I really wanted to take him on a beach vacation. My one stipulation was that I wanted to be able to sit on my balcony and have a view of the ocean, and be able to hear the waves as I fell asleep at night. I tried to find us a place at the beach in San Diego but everything was so completely out of our price range, so we went to Sicily instead! I want readers to take that trip to Italy, to see some of the big tourist attractions, but also to get off the beaten path and see more of the truly amazing places where the tour buses and cruise ships don’t go. 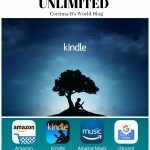 It is available in digital form on Kindle or if you don’t have a Kindle (I don’t) you can download it onto the Kindle App. There will be a paperback version available in the next couple of weeks too. 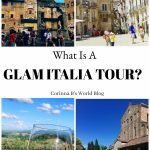 Previous Post What Is A Glam Italia Tour?